It has been a long time since the arrival of the LG Nexus 5, one of the smartphones most loved by fans of mobile technology, that today have one more reason to appreciate it, since now there is a new official ROM of CyanogenMod 14.1. In fact, at the moment we are writing this, the optimized version for devices with processors manufactured by Qualcomm is available for download; namely those that are labeled as CAF (Code Aurora Forum). In the next few hours, however, there will also be another version available for download (in both cases the Nightly version). This means that the software must still have frequent updates, which can be downloaded from the official CyanogenMod website. Recall that Android 7.1.1 introduces smart storage, a new functionality to better manage the space available in the device and the service panel in the Settings menu, as well as all the features included in Android 7.0 Nougat. At the moment, only Google Pixel have Android 7.1.1 Nougat, so this unofficial update is an important step forward. This is the link to the official website, from where you can download the ROM file. 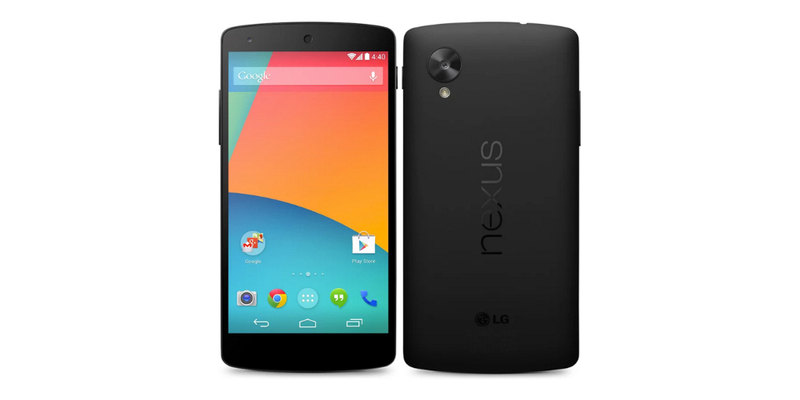 The LG Nexus 5 is a good Android smartphone, capable of satisfying, even today, the most demanding users. It has a large touch screen of 4.95 inches with a resolution of 1920 x 1080 pixels. In terms of features, this LG Nexus 5 has everything you need. Starting with the 4G LTE module that allows excellent data transfer and Internet browsing, both through Wi-Fi connectivity and GPS. It also offers an 8-megapixel camera that takes pictures with a resolution of 3264 x 2448 pixels and records video in Full HD at 1920 x 1080 pixels resolution. The years have passed, but it is still one of the most interesting smartphones in history.